3M constantly strives for new solutions to make the job of the professional technicians and refinishers, faster and more cost effective. 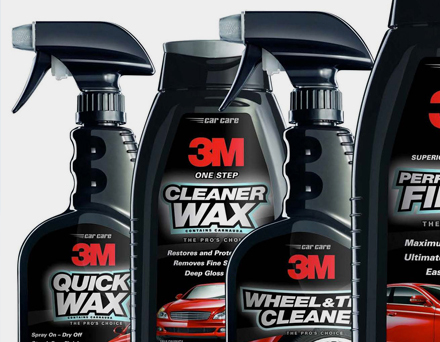 3M offer a full range of products for the automotive accident repair, Industrial and many other sectors. We aim to understand the way in which the industry is changing, so the products we develop are suitable for the job. From an increase in vehicle lightweighting materials and collision avoidance sensors, to adhesives replacing welding repairs, we are creating products that address the changes in the repair process across the entire industry. We have expertise in every aspect of many industrys, ensuring we add value throughout all process’s from products and training to health and safety.